RAMALLAH, (PIC)-- The 19 Popular Committees of Palestinian refugee camps in the occupied West Bank threatened to step up protests against UNRWA's policy of reducing services provided to Palestinian refugees. The committee said in a letter addressed to the Director of UNRWA Operations in the West Bank, Felipe Sanchez, that they plan to declare mass strike, and to refrain from receiving the services provided by the agency, protesting against the dismissal of 130 employees and cuts to services. "In case you insist on your policy of turning your back to refugees, we will announce a whole strike in all camps," the popular committee chiefs wrote to Sanchez. They wrote to UNRWA operations director that the protests were only limited to blocking off UNRWA facilities in the West Bank, threatening that they will escalate their protest steps in case the organization insists on its recent resolutions concerning health department. DAMASCUS, (PIC)-- Twelve Palestinian refugees were killed in Syria on Friday during attacks by the regular army, raising the death toll among Palestinians, who have been killed since the start of fighting in Syria, to 843. BEIRUT, (PIC)-- The Hamas Movement said it would launch on Saturday its aid campaign "It is our duty" to collect in-kind and financial donations for the Palestinian refugees fleeing the internal conflict in Syria to Lebanon. In a press release on Friday, Hamas declared the campaign would kick off at Al-Quds Islamic complex in Burj Al-Barajneh refugee camp in Beirut. Hamas also held in Beirut on Friday a lunch feast in honor of the displaced refugees who came from Syria in Shatila refugee camp. Dozens of displaced Palestinian families and national figures from Shatila camp attended the lunch meeting. Representative of Hamas in Lebanon Ali Baraka gave a speech during the launch event and called for not involving the Palestinian refugees in the inter-Syrian conflict. Barak stated that the presence of Palestinian refugees from Syria in Lebanon is temporary and appealed to human rights groups to support them. Thousands of Palestinian refugees in Syria have fled to Lebanon after their camps were bombed and invaded by the Syrian regime forces. Their refugee camps were also blockaded by these forces that prevented the access of food and humanitarian assistance to them. LONDON, (PIC)-- The action group for the Palestinians in Syria appealed to UNRWA and human rights organizations to intervene to end the blockade imposed by the Syrian regime forces on Yarmouk refugee camp. In a press release on Friday, the action group said that Syrian regime forces prevented the access of vital needs, including food and fuel, to Yarmouk camp which sustained a severe shortage of basic materials. It stressed that this siege is a violation of the international law and a kind of mass punishment, holding the Syrian regime fully responsible for the deteriorating humanitarian situation in the camp. In a related context, the Islamic Jihad Movement strongly denounced the Kuwaiti newspaper Al-Seyassah for claiming on Friday that some of its cadres were fighting alongside the Syrian regime forces in Yarmouk refugee camp. Islamic Jihad stated in a press release that such "tendentious rumors" were unfounded lies and described the newspaper as the mouthpiece of the Zionists who want to settle scores with the Movement. "The Movement, since the start of events in Syria, has definitely decided not to interfere in the Syrian internal affairs and in addition to that, it has participated recently along with other Palestinian factions in talks with some Syrian parties to resolve the crisis in Yarmouk camp," it said. CAIRO, (PIC)-- The Arab League council has condemned the attacks on Palestinian refugees in Yarmouk and other refugee camps in Syria. The council at the end of an emergency meeting in Cairo on Sunday night said that the attacks could lead to a big humanitarian crisis that infringes on lives of thousands of refugees living in Syria and would constitute a blatant violation of the international humanitarian law. The council asked all concerned parties to spare the Palestinian refugees in the current armed conflict and live up to their responsibilities toward maintaining the refugees’ security and providing them with urgent medical aid and humanitarian relief material. The council finally asked the world community and the UN to pressure Israel into allowing the return of the refugees, who are fleeing the infighting in Syria, to occupied Palestine. LONDON, (PIC)-- The violence resumed in Yarmouk refugee camp of Syria on Saturday and resulted in the killing of nine Palestinian refugees. RAMALLAH, (PIC)-- West Bank's weekly anti-apartheid wall and settlements marches were launched today in solidarity with the hunger striking prisoners and the refugees in Syria's refugee camps. The occupation forces suppressed the Ma'sara village's weekly march, which headed to the wall, in support of the hunger striking prisoners, particularly Samer al-Issawi and Ayman Sharawna, and in support of the Palestinian refugees in the Yarmouk refugee camp in Syria. The Israeli army closed the entrances to the village and declared it a closed zone, in order to prevent the demonstrators from reaching the wall. Activist Hassan Briggah delivered a speech during the demonstration in which he denounced the events taking place in the Yarmouk camp, and called for supporting the prisoners on hunger strike, especially the captives Ayman Sharawna and Samer al-Issawi. IOF also announced the town of Kafr Qaddoum a closed military zone and besieged it from its four sides. They fired tear gas grenades at the participants in the town's weekly march, causing dozens of Palestinians to suffocate. Hundreds of residents of the town of Kafr Qaddoum and neighboring towns and solidarity activists participated in the march, which started this afternoon in front of the Mosque of Omar bin al-Khattab in the center of the village. Meanwhile, dozens of citizens and foreign solidarity activists suffered suffocation after the Israeli troops fired at them tear gas grenades, during the repression of the Bil'in's weekly anti-settlement and apartheid wall march. According to local sources, the Israeli soldiers fired rubber-coated metal bullets, tear gas grenades and stun grenades at the demonstrators, and sprayed them with wastewater mixed with chemicals, upon their arrival to the liberated lands near the apartheid wall. The IOF also attacked the weekly march of the village of Nabi Saleh that started from al-shouhada Square after Friday prayers in solidarity with the prisoners in the Israeli jails. DAMASCUS, GAZA, CAIRO, (PIC)-- Dozens of Syrian tanks are surrounding the Yarmouk refugee camp, and are preparing to raid it at any moment and regain control over it after the Free Army had declared full control over the camp on Monday evening. BRUSSELS, (PIC) -- A European committee launched an urgent relief campaign to rescue the Palestinian refugees fleeing the refugee camps in Syria, after the regular army planes bombed them. GAZA, (PIC)-- Hamas movement strongly condemned the continuing attacks on Palestinian refugee camps in Syria using artillery and warplanes. DAMASCUS, (PIC)-- Four Palestinian refugees were killed in the Yarmouk refugee camp in Damascus on Wednesday bringing the number of Palestinian victims in the ongoing Syrian internal strife to 731 since mid-March 2011. DAMASCUS, (PIC)-- The Work Group for the Palestinians in Syria confirmed that two Palestinian refugees died on Monday in the Yarmouk refugee camp in Damascus. RAMALLAH, (PIC)-- The employees dismissed from their jobs at the UNRWA started on Monday a sit-in in front of the agency's offices in the various governorates of the West Bank to protest at the dismissal decision against them. The Agency's administration has dismissed 114 employees in the West Bank, while there are 850 others threatened with dismissal. The protesters expressed their rejection of the dismissal decision, stressing that "the existence of a financial crisis does not justify dismissing employees in such harsh conditions experienced by the Palestinian people." 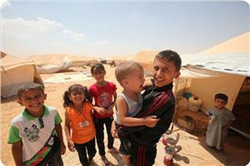 The refugee camps' committees in the northern West Bank said in a statement that the camps decided to take escalatory steps after the agency has recently released several resolutions; including dismissing 130 employees, reducing the fixed budget of the Health Section and increasing the percentage of the patient's contribution to 40% for some treatments and cases of emergency. They added that they have sent several messages demanding the non-implementation of the recommendations of the departments' managers in the relief agency and the cancelation of the dismissal of employees, but they have received no reply. BETHLEHEM (Ma'an) -- Malaysia has donated $1 million to support UNRWA in the Gaza Strip in response to Israel's recent war on the enclave, the UN agency said Thursday. The contribution is in addition to $200,000 donated by Malaysia in November to support the regular services of the agency, which supports Palestinian refugees. "We hope and pray for a quick and lasting resolution to this historical injustice," said Malaysian Prime Minister Datuk Seri Najib Tun Razak, announcing the million-dollar donation. "In the meantime, Malaysia will continue to help the Palestinian people, whether in cash or in kind," he added. UNRWA official in Gaza Robert Turner thanked Malaysia for its quick response to refugee needs in Gaza, noting that it was the country's largest ever contribution to UNRWA. "We look forward to continuing our partnership with Malaysia working hand-in-hand to support the needs of Palestine refugees throughout all of UNRWA's fields of operations," Turner added. UNRWA is facing a financial crisis due to large deficits and a growing refugee population. DAMASCUS (Ma'an) -- A leader in the Popular Front for the Liberation of Palestine - General Command was critically injured and four people were killed in an attempted assassination in Damascus on Wednesday, a senior official in the movement said. A PFLP-GC source said Liwa al-Asifah Brigade fighters planted a bomb in Khalid Atteiq's car, injuring him and killing four others, in the Yarmouk Palestinian refugee camp in Damascus. He accused the Liwa al-Asifah Brigades of trying to stir strife and drag Palestinians into Syria's uprising. Al-Yarmouk News, a Facebook page reporting on events in the camp, said Atteiq was critically injured while trying to dismantle the explosive device in his car on Ein al-Ghazal street. Yarmouk camp is largely under the control of PFLP-GC, which is aligned with embattled Syrian President Bashar Assad. Syrian rebels accuse PFLP-GC of cracking down on dissent in Yarmouk. In October, rebels announced they had begun arming Palestinians to establish the Liwa al-Asifah to wrest control of the camp. Palestinian officials insist that refugees in Syria are not involved in the deadly war rocking the country, citing security concerns for the vulnerable refugee population if they are perceived to take sides. But Syria's uprising has split Palestinian loyalties, with many ordinary Palestinians sympathetic to the uprising by their fellow Sunnis, and others recalling the Syrian government's long-support for Palestinians. Syria hosts more than 500,000 Palestinian refugees, according to United Nations figures. GAZA CITY (Ma'an) -- Seven Palestinian refugees were killed Monday in a refugee camp in Damascus, the Yarmouk coordination committee said. 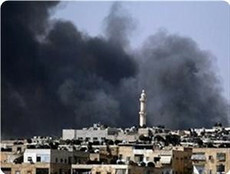 The committee said forces loyal to Syrian President Bashar Assad shelled al-Tadamon neighborhood, causing a huge fire on Palestine Street. Free Syrian Army rebels destroyed an army tank on the same street, the group added. 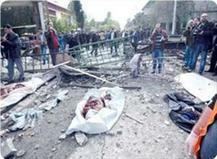 Imad Arabi, Jihad Younis, Iman Azimeh and Mahmoud Kassab were among those killed, according to the committee. Russia on Friday said it was "deeply concerned" by reports that each side in the Syrian conflict was enlisting and arming Palestinian refugees. "We call for the participants of the conflict in the Syrian Arab Republic to show restraint and do all possible for Palestinian refugees not to be dragged into the Syrian confrontation and for places of their residence not to become objects of hostility," the Russian Foreign Ministry said. President Mahmoud Abbas has asked the United Nations and Russia, one of Assad's last remaining allies, to work to protect Palestinians in Syria. The Russian Foreign Ministry statement said the plight of refugees in Syria "shows the relevance of a speedy overall Israeli-Palestinian settlement, an integral part of which must be a just solution to the problem of Palestinian refugees". UNRWA chief Filippo Grandi on Tuesday told a UN committee that most of the 518,000 Palestinian refugees in Syria were directly affected by the conflict in Syria and a significant number had been killed, injured and forced to flee. "It is with extreme concern that we observe Palestine refugees in Syria being progressively engulfed in the conflict," said Grandi, commissioner-general of the UN agency for Palestinian refugees. He added: "Prior to the conflict, Palestine refugees in Syria were already among the poorer strata of society. This pre-existing vulnerability is profoundly aggravated by the impact of the war." The UN official said some Palestinian refugees had been sent back from neighboring countries and stressed that "Palestine refugees leaving Syria for temporary protection are fleeing the same grave risks and dangers as other refugees." "In spite of the relatively small number of Palestine refugees that have left Syria, their plight sadly confirms our view that -- no matter how long they have lived in host countries and how hospitably they have been treated -- they remain extremely vulnerable and exposed to the shocks of crises, given the centrality and sensitivity of the Palestinian question in the regional context." GAZA, (PIC)-- Hamas's refugee affairs bureau condemned the latest remarks that were made by de facto president Mahmoud Abbas in which he waived the right of return as grave, and called for legal action against him. In a press release on Saturday, the refugee bureau invited all pro-Palestinian refugee, human rights and legal organizations to file a joint petition signed by them with the Palestinian attorney general in the Gaza strip against Abbas for his violation of the Palestinian law, the national constants, and the international law regarding the right of return. The bureau also urged the popular committees of refugees at home and abroad to declare their position clearly against Abbas's latest remarks. The Hamas's refugee affairs bureau had produced a videotaped report on Abbas's position against the right of return and the Palestinian street reactions, and prepared the document of the Palestinian constants to collect the largest possible number of signatures from the Palestinians in Gaza. GAZA, (PIC)-- The UN accused Israel of obstructing its efforts to rebuild the Gaza Strip and demanded it to end its blockade on the besieged enclave, according to its radio. The fourth committee of the UN general assembly said the task of rebuilding the Gaza Strip has become more difficult for the UNRWA because Israel is reluctant to approve project applications submitted by the agency. It added that the obstacles caused by Israel in this regard cost the UNRWA five million dollars of donor funds in 2011. For his part, UNRWA commissioner-general Filippo Grandi said during a session held with the UN fourth committee that the agency still faces two major threats to the services it provides to the Palestinian refugees, namely, the raging conflicts in the region and the scarce funding. Grandi warned that Gaza would have half a million more people by 2020 and would become an unlivable place by 2020 unless action is taken to improve basic services in the territory. In a related context, the Palestinian ministry of economy in Gaza said it would initiate soon 11 vital initiatives for the improvement of the Palestinian economy during the next six months. In a press release, assistant deputy of the minister Hatem Aweidah said these initiatives represent a priority for the ministry of economy. Aweidah added that the private sector would take part in these initiatives to achieve the economic plans set the Palestinian government in Gaza. He stated that the initiatives include the rehabilitation and development of industrial areas in Gaza and the activation of commercial cooperation with Egypt. LONDON, (PIC)-- The Palestinian Return Centre in London condemned the remarks made by PA President Mahmoud Abbas, which included clear signs of giving up the right of return and recognizing the 1948- occupied territories as Israel. The Palestinian Return Centre stressed in a statement issued on Tuesday that the President's position "contradicts the Palestinian National consensus which considers the right of return an inherent sacred and inalienable right for the Palestinian people and cannot be subjected to any statute of limitations." 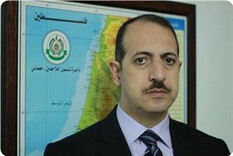 The Director General of the center Majid Zeer considered that Abbas' remarks have significantly harmed the popular solidarity action with the Palestinians abroad. He said: "It is inconceivable that PA's President Abbas gives up the right of return so that the Jews of the world come and settle in Palestine while the Palestinian people, fleeing the fighting in Syria, have been trapped at the borders between Jordan and Syria." Majid Zeer added: "We believe that the statements of President Abbas are serious in terms of time and space", noting that they coincide with the 95th anniversary of the Balfour Declaration and during an interview on Israeli television. The Centre's statement considered that the remarks of President Abbas represent a clear insult to the suffering and sacrifices of the martyrs and the Palestinian prisoners. It also confirmed that the solution lies in the implementation of a Palestinian reconciliation which agrees on a national program that ensures and protects all Palestinian rights, especially the right of return as it is a sacred right that cannot be waived in any form. GAZA, (PIC)-- Head of Hamas's refugee affairs bureau Isam Adwan called on de facto president Mahmoud Abbas to leave the political arena immediately after the concessions he made on the right of return. "The only way to atone for this wrongdoing is to step down and there is no chance to apologize in words or undo mistakes," Adwan stressed. He affirmed that the right of return is one of the human rights protected by the international law and Abbas has no right to waive it. In a related context, the Islamic Movement in Lebanon and Hamas Movement strongly denounced in a joint press release what they described as the "grave" concessions made by Mahmoud Abbas regarding the right of the Palestinian people to return to their native land. The two Movements urged the Palestinian resistance factions to pool their efforts and agree on a unified strategy to liberate Palestine and achieve the return of all refugees. The Movement issued their press release following the meeting between Hamas representative in Lebanon Ali Baraka and head of the Islamic Movement's political bureau Azzam Al-Ayoubi. Killing Palestinians for the sake of Palestine!! The closure on Monday, 5 November, of Hamas's offices in Damascus should be viewed as a badge of honor for the Palestinian Islamic liberation movement. It shows that Hamas is siding with the Syrian people who have been struggling to rid themselves and their thoroughly tormented country of one of the most murderous and thuggish regimes under the sun. It also shows that Hamas has finally decided to discount certain parochial political considerations in favor of a morally credible stance that is free from cheap opportunism, moral ambiguity and unconscionable double-standards. Some short-sighted Palestinians might argue that Hamas should have sought a certain modus vivendi with the sectarian regime in Damascus, which is based on the small esoteric Alawite sect. However, such a measure, though it may be temporarily expedient from the Machiavellian view point, would be immensely costly from the moral and Islamic perspectives. Moreover, it would imprint on Hamas an indelible mark of shame, having, God forbid, sided with the murderous regime against millions of Syrians struggling for freedom and dignity. True Muslims would never side with oppressors against the oppressed or with criminals against their victims. Hamas is a liberation movement, par excellence. As such, it must always take the right decisions and make the right choices, irrespective of small and secondary political calculations here and there. On the Day of Judgment, every one of us will be asked why we allowed the Syrian genocide to happen. We will be asked why we did virtually nothing to stop it. And those amongst us who may have helped the thuggish regime of Bashar al-Assad in his war of extermination against the Syrian people will have the following phrase imprinted on his forehead: "having no hope in receiving Allah's mercy." The secularists and atheists may ridicule us for speaking this way. Well, most of these people don't believe in God, a hereafter, or a Day of Judgment. But we are Muslim and must not indulge in actions or behaviors that would make us think or behave in ways incompatible with our Islamic beliefs and values. In the meantime, the murderous regime of Bashar el Assad continues to murder Palestinian refugees all over Syria, either because they are suspected of sympathizing with the revolution or because they refuse to carry out orders to massacre their Syrian brothers and neighbors. In the final analysis, we are speaking about a satanic regime that combines German Nazism and Communist Stalinism, a regime that would stop at nothing in order to keep its sect and family in power. The uninterrupted cycle of atrocities against Palestinian refugees in Syria at the hands of Assad's Shabbiha or thugs and other cutthroats should not surprise us at all. At the end of the day, a regime that doesn't hesitate to bomb and destroy its towns and villages and slaughter its own citizens, even en mass, will not flinch from doing the same thing and more to Palestinian refugees living in Syria. The criminal regime never stops ranting and babbling about its alleged resistance to Israeli and American conspiracies. Fortunately, these obscene lies will no longer deceive the bulk of Arabs and Muslims who have finally discovered the regime's true nature. The evil regime may continue to rave and rant about its mythical resistance for ever. But the outstanding truth which no honest person under the sun can deny is that the regime has been using and is using the huge stockpile of weapons purchased for the purpose of fighting Israel and liberating the occupied Golan heights, to destroy Damascus, Aleppo, Hama, Homs, Diraa and other Syrian cities. Indeed, instead of resisting Israel, the regime is massacring its own people in order to remain in power and keep the jackboots of its sectarian thugs and murderers pressed for ever against the throats and necks of Syrian, men, woman and children. And I'm not speaking metaphorically. Furthermore, the last thing the just Palestinian cause needs is support and backing from a manifestly murderous and nefarious regime, which would form a harmonious camaraderie with the likes of Ariel Sharon, Adolph Hitler and Joseph Stalin. We Palestinians don't need and don't ask for support from a regime that is swimming in a sea of blood of its own people. Our fate and kismet always lie with the people, not with regimes, especially tyrannical regimes that live on murder and thrive on bloodshed. Therefore, Hamas should be lauded for taking the morally correct decision of severing ties with the Hitlerian regime of Bashar el-Assad. There are likely some opportunistic people here and there who would try to take advantage of the severance of relations between Hamas and the despicable Alawite regime in order to serve their own dubious agendas. Well, the barking of dogs, whether abroad or at our home turf, shouldn't distract us from taking the right decision and choosing the right choice. Hamas is not demanded or required to take an active part in the Syrian revolution. Hamas is fighting its own struggle against the mother of all terrorist regimes, Israel. Now, the Syrian regime is joining Israel as an additional foe of the Palestinian people. Needless to say, the daily executions and murder of Palestinian refugees at al-Yarmouk camp and elsewhere in Syria should give the Alawite junta an authentic certificate of good conduct, especially in the eyes of Zionist circles both in Tel Aviv and Washington. This is while the virulent regime keeps up the pornographic lie, that it is killing the Palestinians for the sake of Palestine. CAIRO, (PIC)-- Hamas said that Syrian security men stormed a number of the movement’s offices in Damascus including the home of its leader Khaled Mishaal and closed it after confiscating all its content. The movement said in a terse press release on Wednesday that Syrian security forces stormed the house and office of Mishaal on Monday, listed its content, changed its locks, and closed it and confiscated the office’s cars. It said that the Syrian security apparatuses on Tuesday broke into the office of Emad Al-Alami, a political bureau member, and closed it then confiscated all its vehicles. OCCUPIED JERUSALEM, (PIC)-- Former Israeli premier Ehud Olmert said Mahmoud Abbas's position on the right of return was not new and tabled in negotiation rooms. Olmert told Yedioth Ahronoth newspaper that the Israeli negotiators including the current premier Benjamin Netanyahu know that it was not the first time Abbas voiced his readiness to waive the right of return. He said that during his talks with Abbas when he was a premier, they agreed to solve the issue of the Palestinian refugees within the framework of the Arab peace initiative. Olmert added that he and Abbas agreed on the idea of allowing some thousands of Palestinian refugees to return to the would-be Palestinian state for a limited period of time and for humanitarian reasons. For her part, Tzipi Livni, head of the right-wing Kadima party, told the same newspaper that she was not surprised to hear Abbas's remarks to an Israeli TV on the right of return. Livni added that she phoned Abbas and congratulated him on his courage to state his position on air. Asked on Israel’s channel 2 last Friday whether he expected to return to Safed, the hill town in the northern region of Galilee, where he was born in 1935, Abbas had said, "it is my right to see it but not to live there. Palestine for me is the 1967 borders, with east Jerusalem as its capital. This is now and forever." In this regard, the Islamic action front in Jordan slammed Abbas for his positions against the right of return and the right of his people to defend themselves against the Israeli occupation. The Islamic front stated in a press release on Monday that Abbas gave up the right of return, which is an inalienable and inherent right protected by the international law. It added that Abbas denied the Palestinian people their right to defend themselves, their holy places and homeland which are exposed to Judaization campaigns. The Jordanian front described Abbas's remarks in this regard as the most dangerous in the history of the Palestinian cause and demanded the Palestinian people and Fatah faction to repudiate such positions and force Abbas to apologize to his people and the Arab nation. For its part, the Muslim Brotherhood group in Jordan also condemned Abbas's remarks and said they reflected the deviance of Abbas who lost his national and revolutionary legitimacy after he gave up the struggle for the liberation of Palestine. CAIRO, (PIC)-- Mohammed Seif Al-Dawla, the advisor to Egyptian president Mohammed Morsi for Arab affairs, has said that PA chief Mahmoud Abbas had indirectly forsaken the Palestinian refugees’ right of return. He told Quds Press that Abbas’s statement to the Hebrew TV came as a shock for all Palestinians. He underlined that RoR is included as one of the four pre-conditions for the recognition and admission of Israel into the UN. Seif Al-Dawla said that all Palestinian factions were unanimous on RoR, and hoped that Abbas’s statement was just a “slip of the tongue and does not reflect a real position”. GAZA, (PIC)-- The Hamas Movement scoffed at the attempts by Fatah faction to defend the concessions made by its president Mahmoud Abbas through accusing its rivals of meeting Zionists in the Qatari capital Doha. One of Fatah spokesmen on Monday tried desperately to defend Abbas and the concessions he made on Palestinian national rights in an interview on the PA TV, claiming that Hamas officials had met with Israelis in Doha to prevent Abbas from going to the UN. "It was not surprising to see the spokesman for Fatah and the Palestinian authority in Ramallah resorting to lies in an attempt to defend the remarks made by Mahmoud Abbas to a Zionist TV station because such people accustomed themselves to such methods," Hamas said in a press release. "It was also outlandish that [the spokesman] was defending the concessions made by Abbas and justifying the meeting with Zionists through saying that others meet them too," it added. Hamas emphasized that Fatah's attempt to find a way out of the trouble caused to it by Abbas should not be through fabricating lies and accusations against its other rivals, but through admitting the mistake and holding him accountable for his irresponsible remarks on the national rights. For his part, the general secretariat of the Palestinians in Europe called for revoking the political cover given to Abbas and holding a popular trial against him for the concessions he made on the right of return. Member of the general secretariat Amin Abu Rashid told Quds Press on Monday that the Palestinians in Europe have become more adherent than ever to their right to return to their cities and villages they were forcibly expelled from more than six decades ago. Abu Rashid affirmed that the Palestinians in Europe do not want Abbas to represent them anymore after he blatantly waived the right of Palestinian refugees to return to their homeland. He slammed Abbas's aides for their attempts to justify the concessions he made by talking about the fait accompli, and questioned mockingly if this situation also applies to what the Israeli occupation regime has created on the ground regarding Jerusalem, the settlement expansion, borders, water resources and other different issues in the Palestinian arena. "Abbas's remarks are not surprising, but they were painful because he tries every time to hurt the Palestinian people, especially in the diaspora," he underscored. "While the Palestinians in Europe is trying to force the British government to apologize after 95 years for the fateful decision it had made about the establishment of a national home for the Jews on the land of Palestine, Abbas suddenly renounces our right to Palestine," Abu Rashid added. GAZA CITY (Ma'an) -- Syrian government forces on Monday shelled a bus killing seven Palestinians in Yarmouk refugee camp in Damascus, locals said. A refugee from Yarmouk told Ma'an that forces loyal to Syrian President Bashar Assad had shelled the bus on a road adjacent to the camp, killing seven. He said they were taken to Palestine Hospital and al-Basil Hospital and buried in al-Shuhada cemetery. Activists told Reuters that Syrian opposition forces had killed seven members of the Popular Front for the Liberation of Palestine - General Command in Yarmouk on Monday. PFLP-GC has supported Assad's crackdown on the 19-month revolt against his rule, and rebels announced last week they had begun arming Palestinians to wrest control of the camp from the faction. 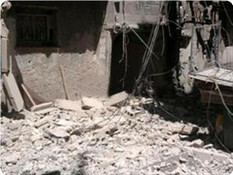 On Sunday, opposition campaigners said the Syrian army shelled rebel positions inside Yarmouk killing at least 20 people. A youth activist told Ma'an on Monday that Fatah, Hamas and Islamic Jihad were working together to provide assistance to residents of Yarmouk, the largest Palestinian refugee camp in Syria. Activists in the Syrian opposition stated Sunday that the Syrian army bombarded a location, were armed fighters were believed to be hiding, in the Al-Yarmouk refugee camp, near Damascus, leading to the death of at least 20 persons. They added that the Al-Yarmouk refugee camp, located near the southern entrance of Damascus, became a battlefield due to armed conflicts took place between the resistance and Syrian soldiers. Mohammad Al-Hour, one of the opposition activists, told Reuters that Al-Yarmouk refugee camp a high density population, therefore, any shelling will lead to a large number of casualties. He added that among the twenty killed Sunday were several medics, while dozens of persons were injured due to the bombardment, some seriously. There are approximately half a million Palestinian refugee living in the Al-Yarmouk refugee camp; most of them were forced into exile during Israel’s creation in the historic land of Palestine in 1948. It is worth mentioning that the Al-Yarmouk refugee camp was repeatedly bombarded by the Syrian army, an issue that led to dozens of casualties. Syrian-born Palestinian actor Muhammad Rafeh was found dead this weekend, drawing condemnation from a Palestinian faction aligned to President Bashar Assad. Rafeh, 30, gained fame for his role as young merchant Ibrahim in the popular Syrian TV series Bab al-Hara. He was the son of Ahmad Rafeh, also an actor, who fled Palestine after 1948 and settled in Aleppo. Muhammad was kidnapped on Friday night near his home Damascus neighborhood Masaken Barzeh, and found dead a day later, relatives told Lebanon's The Daily Star newspaper. A brigade affiliated with the Free Syrian Army, the Grandsons of Al-Siddiq Battalion, said they killed Rafeh because he was a member of a pro-regime militia, or shabih. Rafeh's colleagues insist that while he supported the president, he was not involved in any military activity, the report said. The Popular Front for the Liberation of Palestine - General Command, which supports Assad, condemned Rafeh's killing and said he had been a true ambassador of the Palestinian people in the Diaspora. Last week, Syrian rebels said they had begun arming sympathetic Palestinians to fight a pro-Assad faction in Yarmouk refugee camp in Damascus. Syria hosts half a million Palestinian refugees, mostly descendants of those admitted after the creation of Israel in 1948, and has always cast itself as a champion of the Palestinian struggle, sponsoring several guerrilla factions. Syria's uprising has split Palestinian loyalties, with many ordinary Palestinians sympathetic to the uprising by their fellow Sunnis. RAMALLAH, (PIC)-- Israeli president Shimon Peres hailed de facto president Mahmoud Abbas over the phone and thanked him for his latest remarks about the right of return and the popular uprising against Israel. The official news agency of the Palestinian authority confirmed that Peres phoned Abbas on Sunday evening and said they talked about the peace process and the avenues to revive it. 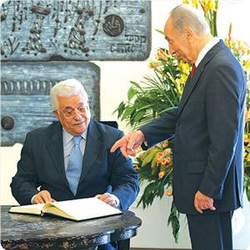 Peres also praised Abbas in a press statement to the Hebrew TV on the same day by saying that Abbas proves through his words and actions that Israel has a true partner for peace. 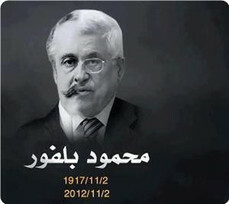 He said that Abbas was aware that the right of return to the 1948 occupied lands would be impossible to achieve. The Israeli president also appreciated Abbas's commitment to prevent the outbreak of a third intifada (uprising) against Israel, describing his positions as brave. For his part, Israeli war minister Ehud Barak said that Abbas's latest remarks regarding the right of return and the third intifada were not new. The Hebrew radio quoted Barak as saying on Sunday that Abbas had affirmed previously during several closed meetings with Israeli officials that he was ready to waive the right of return and would not allow the outbreak of a new intifada against Israel. In a related context, the association for the defense of the rights of the displaced people in the 1948 occupied lands strongly denounced the concessions that were made by Abbas on the national rights of the Palestinian people. In a press release, the association stated that the right of return is one of the most important national constants unanimously agreed upon by all Palestinians wherever they are and Abbas has no right to waive it. "We, in the association for the defense of the displaced people, emphasize our unequivocal rejection of such statements and the free concessions on the right of return, this individual and collective right which does not accept any kind of mandate or delegation." "Therefore, the statements made by Abbas and his concessions are principally invalid because the Palestinian authority and the Palestinian liberation organization have no right to dispose of this individual and collective right unless they want to achieve it through the return of the last refugee to his home," it added. GAZA, (PIC)-- First deputy speaker of the Palestinian legislative council Ahmed Bahr called for holding a popular trial against de facto president Mahmoud Abbas for his latest remarks against the national rights and constants. Bahr called in a news conference held at the PLC headquarters in Gaza on Fatah faction to state their position unequivocally and repudiate the concessions made by Abbas regarding the right of return and the right to resist the occupation. He also urged the Palestinian refugees everywhere to stage protests and events denouncing and confronting the crime that was committed by Abbas against their right to return to their homes and lands. The deputy speaker stated that Abbas's remarks violate the Palestinian basic law and the international law. "Abbas's remarks are contrary to the provisions of article 28 of the Palestinian basic law and its amendments which stipulate that any Palestinian must not be exiled from the homeland or deprived of return," he explained. He added that Abbas's pledge to Israel to prevent any new Palestinian intifada (uprising) against it violates article 51 of the UN charter which protects the Palestinian people's right to defend themselves against the occupation by all means. 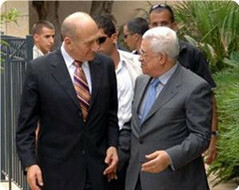 "Abbas's confirmation that he would prevent any third Palestinian intifada as long as he stayed at the helm of the presidency, which expired in January 2009 making him seize power illegally until now, is coherent with the Zionist policies which appropriate our land, Judaize and defile our holy places, and attack our people day and night," the lawmaker said. Yediot Ahranot Israeli newspaper published on its website, sources in Syria reported that heavy confrontations launched between rebels and government troops backed by Palestinian fighters in the Syrian capital, Damascus. Head of the Britain-based Syrian Observatory for Human Rights, Rami Abdul Rahman, said that the fighting took place in the southern neighborhood of Tadamoun and the outskirts of the Palestinian refugee camp of Yarmouk, Yediot Ahranot reported.